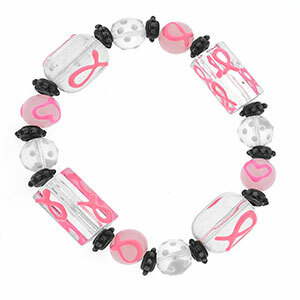 You will love this breast cancer awareness bracelet! Mixture of pink, white and black beads. Stretch bracelet. Fits up to wrist size 7 inch.